I received the first chapter of the book via Smiley360 but it leaves me in disappointment because the first chapter only covers 'Introduction', and how he met lots of successful people all over the world. I finished reading all 55 pages, and I don't even get the point on how to master the game of money. Not straight-forward. 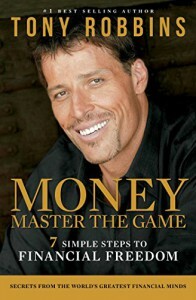 I was hoping that the 1st chapter has some insights on how to master the game of money. Alas, it only leaves me wasting my time reading for nothing. I received a free sampler of the book for the purpose of my review. Opinions are 100% my own.